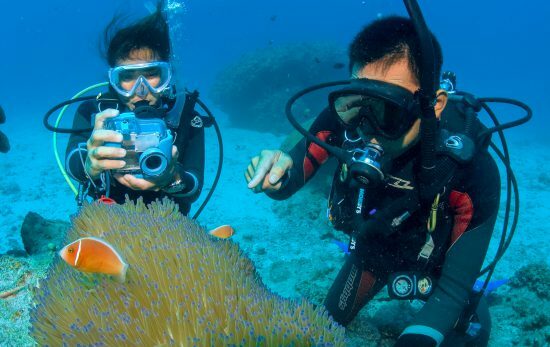 With more than 40 named sites, Oahu definitely delivers when it comes to diving—so much so that it can be a challenge to know where to begin. Sound like a lot? 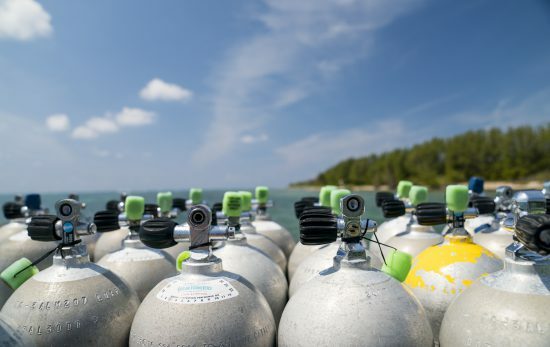 Start with these six must-see dive sites. 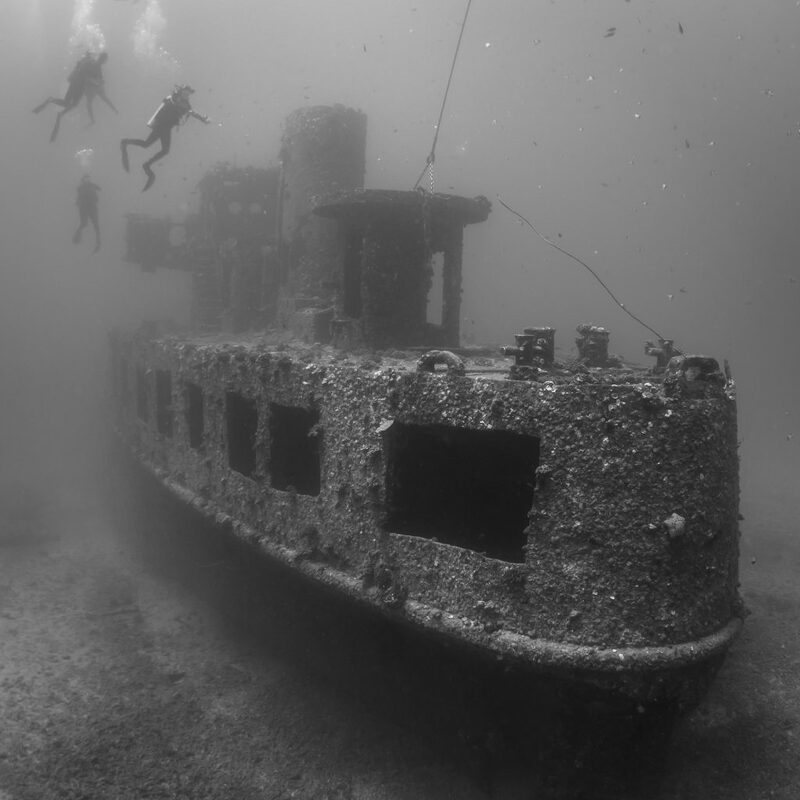 One of the most popular dives on Oahu, this upright ship is found just off the city of Waikiki. It was purpose-sunk in 1996 by Atlantis Submarines Hawaii to give their passengers an underwater attraction. 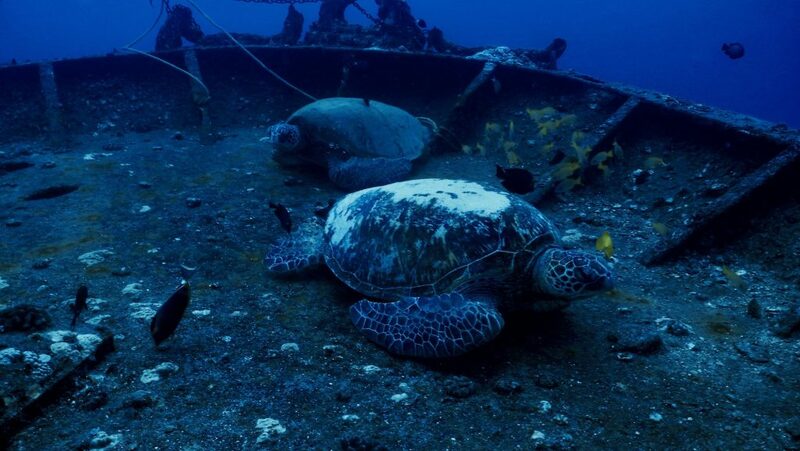 Now, more than 20 years later, it’s covered in corals and sponges, regularly attracting green sea turtles. Advanced divers favor the site not just for the depth—find it at 100ft (30m) down—but also for the easy penetration. Cutouts exist on both sides of the ship, allowing divers to easily pass through it. This 189ft (57m) former Chinese merchant vessel, once called the Yun Fong Seong, is considered the deepest wreck in Oahu, resting in the sand from 80 to 120ft (24-30m). She became the property of the U.S. Coast Guard before being sunk off the south side of the island in 1999. 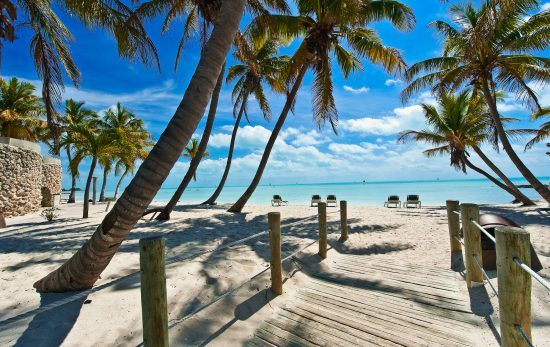 Drop in to swim with resident whitetip reef sharks, plus green sea turtles, eagle rays and schools of blueline snapper. The biggest highlight of diving this series of lava-formed tunnels is the chance to be surrounded by whitetip reef sharks inside the larger rooms. These collapsed lava tubes also shelter green sea turtles, so odds of seeing big marine life are high. Observe carefully to find the octopi and five species of eel that nestle among the cracks. Plus, with a depth of 30ft (9m) inside and roughly 45ft (13m) outside the caverns, this site suits all certified divers. Nicknamed the Navy tug for its ongoing participation in Navy training exercises, this 109ft (33m) vessel sits outside Hickham Harbor. It was purpose sunk in 2012 to a depth of 65 ft (19m) where it’s now a habitat to octopus and eels, with the occasional manta ray and reef shark passing by. So named for its proximity to the local power plant, this site dials it up when it comes to wildlife. You’ll find a mix of Hawaii’s endemic oddities, including psychedelic wrasses, plus several green sea turtles. Plus, the water clarity here is surprisingly unreal—expect at least 60 feet. 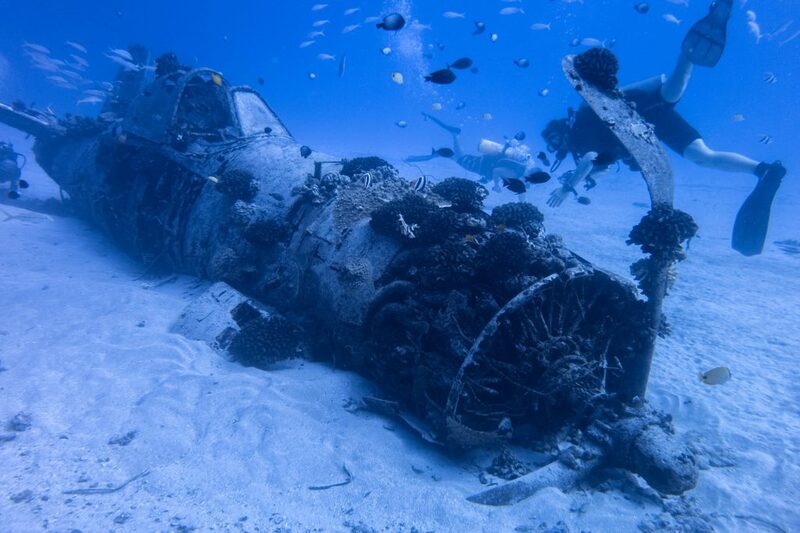 Downed in 1945, this fighter aircraft is Hawaii’s only true wreck that’s open to divers. Drop in to check out the cockpit’s gauges, control stick, seat and rudder pedals. Find it at 115 deep, making it one of the more advanced dives on the island. In addition to the plane, the site is known for hundreds garden eels that lay claim to the surrounding sand, territory that’s shared by Galapagos sharks. 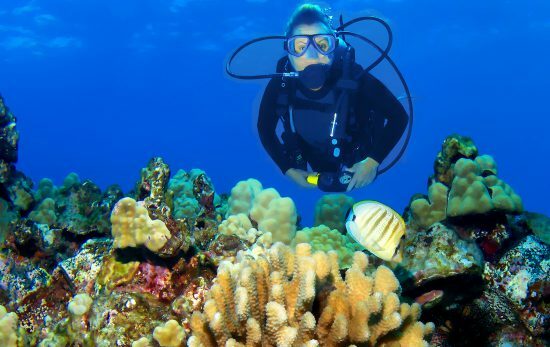 Learn more about diving in Hawaii.